The Ultimate Table for Tailgating! Also great for outdoors, barbecues, sports and family functions. 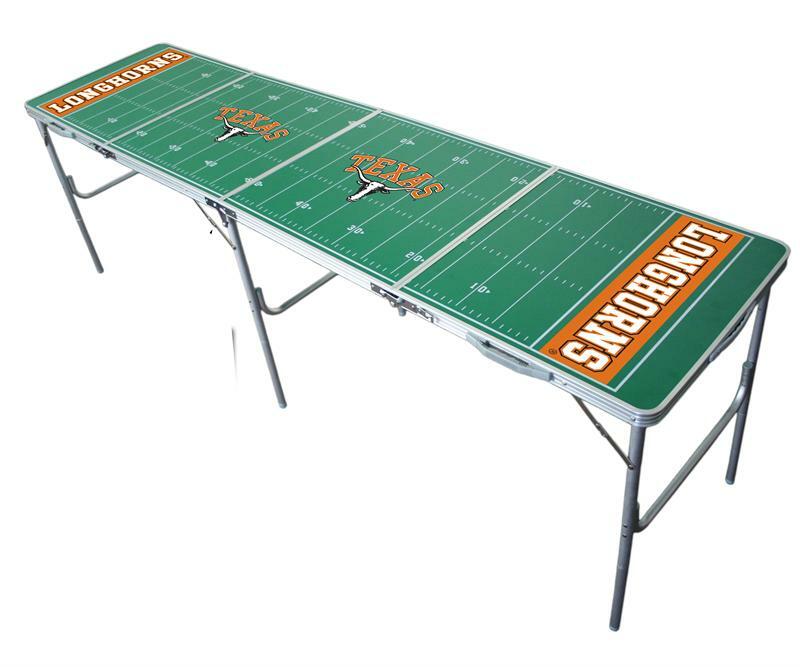 The Texas Longhorns 2'x8' Tailgating Table provides an extra two feet to a standard style table. The surface represents a football field. You simply fold up (to a 2'x2' size), grab the handle, and go. Light weight, sturdy aluminum design. Officially licensed by the NCAA®.